Love under construction: Contemporary small-town romance series: Blueprint to Love book 1 Broken down at the side of the road, Jenna Stone’s life is like her car. In need of a jump start. Tired of playing by other people’s rules, the widowed single mom guards her new freedom by keeping her deadbeat husband alive . . . in name only. The definition of a responsible son, Jackson Traynor runs the family construction company. The workaholic millionaire is all business. No pleasure. Until assisting a beautiful redhead with her broken down car reminds Jake what he really wants. But what if the only person you want is the one you can never have? As the holidays approach, Jake hopes for a Christmas miracle– because Jen and her kids are the family he’s always dreamed of. Jenna will be forced to choose between a safe life and the one of her dreams. 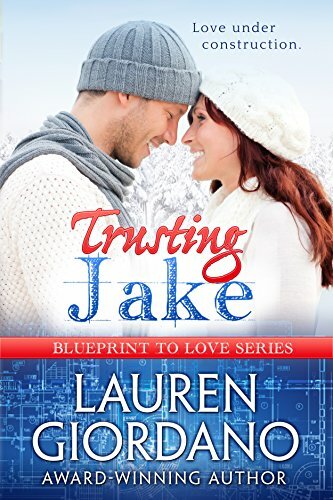 When Jake’s company is threatened, she will risk everything to protect him– even if it means exposing old secrets.